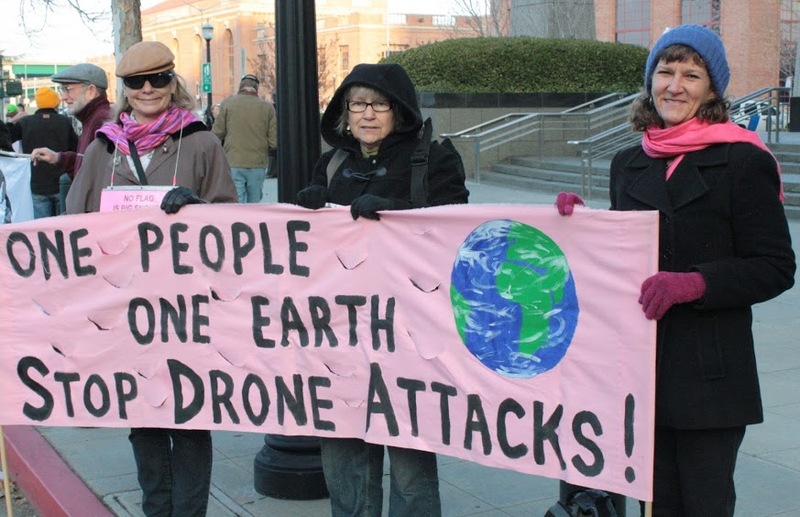 I went to Iran in February of this year with a peace delegation of 28 Americans organized by CODEPINK, a women-led peace activist group. The first day in Iran we had a very fruitful hour-and-half conversation with Javad Zarif, the Foreign Minister of Iran. He listened to our thoughts and concerns and then shared his perspectives about what is needed to help move our countries to a more peaceful and mutually respectful relationship. Unfortunately, during that day I got increasingly severe chest pains. Friends encouraged me to go a hospital to have my heart checked. We went to the Shahram Hospital where they quickly did tests and discovered that there was major blockage in the arteries of my heart. The doctor in charge encouraged me to undergo surgery immediately (angioplasty) to avoid having a heart attack. What a mighty contribution Gene Sharp has made to humankind’s understanding of nonviolent struggle and the power of nonviolent action. Through Gene’s work and writing people around the world have learned about the power and effectiveness of nonviolent struggle and have put that understanding into action and built powerful campaigns and movements to create positive change in their societies including building people power movements to overthrow many dictators and governments which were not listening to their people. We and all future generations are grateful for Gene’s life and all he has contributed. With deep appreciation for a LIFE WELL LIVED!!! Gene Sharp, PRESENTE!! A couple memories of our work together. Gene and I were in Moscow at the invitation of the Living Ring after the August attempted coup d’etat against Gorbachev in 1991. Boris Yeltsin and the others opposing the coup were hiding out in the Parliament building, while 10,000 people (the Living Ring) surrounded it for three days and nights nonviolently facing the tanks and soldiers who had order to attack. The Living Ring wanted training in how to nonviolently defeat future attempted coups against the government. Gene gave talks and we led workshops on nonviolent means to defeat further coup d’etats. It was a real privilege to work with Gene who selflessly shared the power of nonviolent struggle with people, groups and movements who wanted to use peaceful methods to challenge oppression and injustice. By David and Jan Hartsough — July 2016 We have recently returned from a two week citizen’s diplomacy peace delegation to six cities in Russia under the auspices of the Center for Citizen Initiatives.Our trip included visits with journalists, political leaders, teachers and students, doctors and medical clinics, veterans of past wars, representatives of small businesses and nongovernmental organizations, youth camps, and home visits.Since David’s earlier visits to Russia over the past fifty-five years, much has changed. He was struck by how much new building and construction has taken place, and the “westernization” of clothing, styles, advertising, automobiles and traffic, as well as global corporations and private companies and stores.Some of our reflections include:1. Danger of US and NATO military exercises on Russian border, like a game of nuclear chicken. This could very easily escalate into nuclear war. We must wake up the American people about the danger and encourage our government to move away from this dangerous posturing.2. We need to put ourselves in the Russians’ shoes. What if Russia had military troops, tanks and bomber planes and missiles on the US border in Canada and Mexico. Wouldn’t we feel threatened?3. Russian people don’t want war and want to live in peace. The Soviet Union lost 27 million people in World War II because they were not prepared militarily. They will not let that happen again. If attacked, they will fight for their Motherland. Most families lost family members in WWII, so war is very immediate and personal. In the siege of Leningrad between two and three million people perished.4. US and NATO must take the initiative and show a commitment to living in peace with the Russians and treat them with respect.5. The Russian people are a very friendly, open, generous and beautiful people. They are not a threat They are proud to be Russians, and want to be seen as an important part of a multi-polar world.6. Most people that we met were very supportive of Putin. After the break-up of the Soviet Union, they experienced the shock therapy of the neo-liberal model of privatizing everything. In the 1990’s there was tremendous poverty and suffering of the large majority of the people while the oligarchs stole the previously state-owned resources from the country. Putin has given leadership to pull the country together and help improve the lives and well-being of the people. He is standing up to the bullies – the US and NATO – demanding respect from the rest of the world , and not allowing Russia to be pushed around and intimidated by the US.7. Many Russians we talked with believe that the US is looking for enemies and creating wars in order to get more billions for the war profiteers.8. The US must stop playing world policeman. It gets us in too much trouble and is not working. We need to give up our Pax Americana policies, acting like we are the most important country, the superpower which can tell the rest of the world how they can live and act.9. My good Russian friend Voldya says “Don’t believe the propaganda of the political leaders and the corporate media.” The vilifying of Russia and Putin is what makes war possible. If we no longer see the Russians as people and human beings just like us, but make them the enemy, we can then support going to war with them.10. The US and the European Union should stop the economic sanctions against Russia. They are hurting the Russian people and are counter-productive.11. The people of Crimea, who are 70-80% Russian in nationality and language, voted in a referendum to become part of Russia as they had been for most of the past two hundred years. One Ukrainian nationality man living in Crimea, who opposed the referendum to join Russia, felt that at least 70% of the people in Crimea voted to join Russia. The people of Kosovo voted to secede from Serbia and the West supported them. The majority of people in Great Britain voted to leave the European Union; Scotland may vote to leave Great Britain. People of every region or country have the right to determine their own future without interference of the rest of the world.12. The US needs to stop meddling in other nation’s affairs and supporting the overthrow of their governments (regime change) – like Ukraine, Iraq, Libya and Syria. We are creating ever more enemies around the world, and getting ourselves involved in more and more wars. This is not creating security for Americans or anyone else.13. We need to work for the common security of all peoples, not just one nation at the expense of other nations. National security does not work any more and current US policies cannot even create security in America.14. Back in 1991 US Secretary of State Baker committed to Gorbachev that NATO would not move one foot eastward towards Russia’s borders in return for the Soviet Union allowing the reunification of Germany. The US and NATO have not kept that agreement and are now have battalions of military troops, tanks, military planes and missiles on Russia’s borders. Ukraine and Georgia may also join NATO, which gets Russia ever more worried about western intentions. When the Warsaw pact was disbanded, the NATO pact should have been disbanded as well.15. The American people must organize to stop the US and NATO operations on Russia’s borders and stop meddling in Ukraine and Georgia. The future of these countries should be decided by the people of these countries, not by the US. We must resolve our conflicts by negotiations and peaceful means. The future of billions of people on our beloved planet depends on what we do. Thank you for thinking, speaking out and acting to stop this madness. And please share these reflections widely.________________________________________David Hartsough is the author of WAGING PEACE: Global Adventures of a Lifelong Activist, Director of Peaceworkers, and is a co-founder of Nonviolent Peaceforce and World Beyond War. David and Jan were part of a twenty person team of citizen diplomats who visited Russia for two weeks in June of 2016. See www.ccisf.org for reports from the delegation. Contact us if you would like to do an interview. Interviewed by David Swanson, June, 2015. Waging Peace: Global Adventures of a Lifelong Activist by veteran activist David Hartsough is part autobiography, part recent history, and part call to action. This new book shows how a commitment to active nonviolence can plant the seeds and provide the impetus for significant social transformation. 2014 Annual Peace Lecture — David Hartsough — Salem, OR — Oct 15th. given by David Hartsough in Salem, OR, on Oct 15, 2014.
from Big Picture Productions on Vimeo. OAW79 – Waging Peace from Dedham Television on Vimeo. Waging Peace: Global Adventures of a Lifelong Activist Available now. Thought you might be interested in my recent radio interview on KPFK about my trip to Vietnam, the World Beyond War movement and my book, Waging Peace: Global Adventures of a Lifelong Activist. How can you resist the age of drones? On Monday President Obama nominated his counterterrorism chief, John O. Brennan, to head the Central Intelligence Agency. Though some civil liberties groups and other critics have raised questions about Brennan’s involvement in the CIA’s practice of torture during the Bush administration, relatively less has been said about his primarily responsibility during President Obama’s first term: accelerating and institutionalizing the U.S. drones program and its “disposition matrix” — as the government’s sanitizing parlance puts it — which has included setting weekly drone kill lists. Click here to read more. David Hartsough has been a peace activist since the 1950s, a conscientious objector, a civil disobedient, arrested over 100 times. In 2002 he cofounded the Nonviolent Peace Force ( nonviolentpeaceforce.org ). Hartsough is the executive director of Peace Workers ( peaceworkersus.org ). He discusses the current status of war and peace in our culture.Total run time: 29:00Host: David Swanson. Producer: David Swanson. Engineer: Christiane Brown. Music by Duke Ellington.Download or get embed code from Archive or AudioPort or LetsTryDemocracy .Syndicated by Pacifica Network. 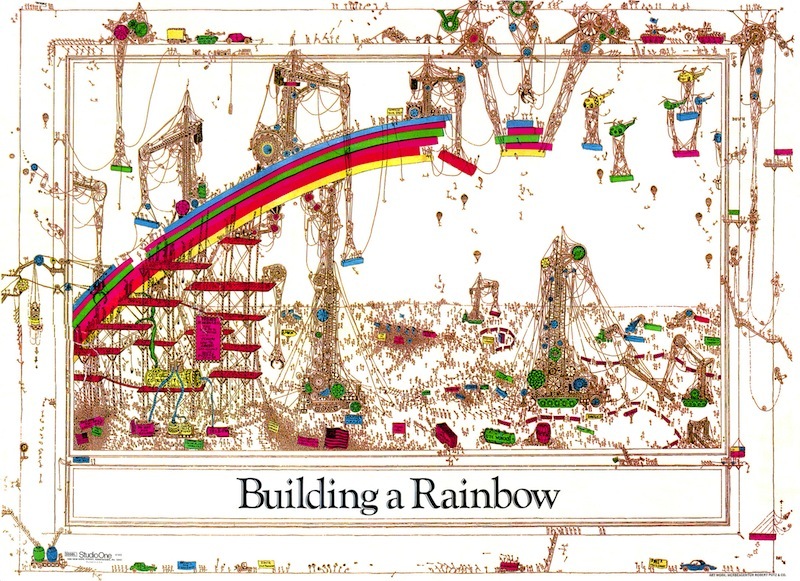 “Building a Rainbow” is the title of an old poster I picked up somewhere along the way. The rainbow’s swath of red, orange, yellow, green, blue, indigo, and violet layers is dazzling—and only half finished. In the picture, this symbol of peace is not an idealistic dream but something real. It is under construction, with a troupe of cranes carefully maneuvering sections into place, countless trucks and overworked paint wagons, scaffolding everywhere, and a flotilla of helicopters lumbering across the sky, each with its own precarious splotch of color dangling below. We live in a violent world. But we also live in a world where a growing number of people everywhere are determined to confound the assumption that there is nothing we can do about this. They gamble that violence need not have the final word. They wager that there are options. They assert that we needn’t be victims of a cycle of violent history; rather, we can dare to be active subjects of a more nonviolent history that engages and transforms the violence around us. For them, violent history isn’t a given, it is made. So, too, is a nonviolent one. New forms of Nonviolence and Leadership emerging?? Something remarkable has been going on out there – especially at UC Davis. I have a hard time figuring out how to articulate it. I haven’t yet seen anyone talk about quite what I’m seeing, so I’ll give it a try. Here’s what it looks like to me: Nonviolent activism is evolving rapidly right before our eyes. The level of spot-on – and often spontaneous – nonviolent creativity that’s showing up exceeds what I’ve seen before, to an extent that I wonder if a fundamentally new and more powerful form of nonviolent action is emerging. Stop the Machine! Create a New World: the Occupation in Freedom Plaza in Washington DC. The Occupation in Freedom Plaza in Washington DC (two blocks from the White House) and the occupations around the country and the world give me more hope than anything which I have experienced since the civil rights and anti-war movements in the 1960’s. Hundreds of thousands or millions of people from all walks of life and all ages, races and religious backgrounds– and especially young people- are waking up and saying with their bodies “We aren’t going to take it any more. We will not put up with a society where the government does not represent the people, but too often represents the corporations and the wealthy. We will not put up with a government which gives unlimited hundreds of billions of dollars to fight foreign wars, create more nuclear weapons and build military bases around the world while making drastic cuts across the board to programs for education and health and welfare of the American people. I graduated from West Point in 2002, served in the army for seven years, and was deployed to Baghdad in 2006. I left active duty in 2009 as a captain, and I am currently serving as the Peace Leadership Director for the Nuclear Age Peace Foundation, where I work to empower people with the skills and ideals that allow us to effectively wage peace. If we compare how much the average twenty-two-year-old army officer knows about waging war and how much the average twenty-two-year-old activist knows about waging peace, there is a big difference. Although I admire their deep commitment to waging peace, many activists have not had enough training in the nonviolent methods that lead to positive change. Many activists have not thoroughly studied the brilliant techniques of Mahatma Gandhi, Martin Luther King Jr., Susan B. Anthony, and other peace warriors. 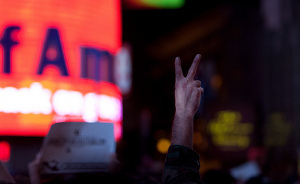 Faith in the 99 percent: What drives Occupy Wall Street? “We are the 99 percent!” The chant thunders through the streets, from Wall Street in New York City, where the Occupy movement began, to K Street in Washington, where high-paid lobbyists influence government, to streets in cities and small towns all across the nation. In hundreds of Occupations, ordinary people have been moved to fill parks and streets and squares with signs, tents, impromptu soup kitchens, intense conversations and lengthy meetings. What’s going on? Pundits splutter about the movement’s lack of ‘demands’ and coherent messaging, but sound bites and 10-point programs arise from central committees and top-down hierarchies. The Occupy movement demonstrates a very different model of organizing: emergent, decentralized, without a command and control structure. WHAT IF activists around the world who want to be more effective could turn to a database of actual campaigns, to get ideas for creative nonviolent strategies and tactics? WHAT IF scholars and writers who are researching alternatives to violence could turn to a global database with hundreds of cases where people used nonviolent action to struggle for human rights, eco-justice, democracy? George W. Bush is dividing the world and waging war. Osama Bin Laden is skillfully eluding capture and giving hope to the thousands he has trained to kill. Betwixt the two, hot spots in Israel and the occupied territories are descending into ever more gruesome violence, other countries are being forced to choose which side of the “war” they support, and nobody is talking about peace. Except, perhaps, David Hartsough, who is quietly building an army in the midst of the fury. A veteran of the civil rights struggle in the US and a peace activist who's been on the front lines of some of the most destructive clashes of the last half century, Hartsough is travelling the globe to rally a force that will march into the danger zones of the world armed with only a commitment to peace. Born from the work left unfinished by Mahatma Gandhi some 70 years ago, it's a hard-sell in times like these, but Hartsough is an experienced and persuasive salesman.